The best RENTAL CARS in Gran Canaria: prices, opinions, comparison... Think to know and things not to do on your next car rental. Are you planning to rent a car for the Canary Islands or another city in Europe? It only takes 5 minutes to read about think to know and NOT TO DO before hiring a car in Europe. Gran Canaria Rental cars best company (according to my experience). RENT A CAR: How not to get ripped off by a car rental company. Cheapest Rental cars in the Canary islands. RENT A CAR: Think to know and things not to do. Here are a few essential points that will allow you to avoid running into "tricks on the run". 1. Rent a car on-line. By experience I tell you that hiring a car in advance is most convenient. Renting one at the rental company desk in the airport or in hotel is more expensive. Furthermore if you book on-line you can freely choose various options up to the maximum amount you want to spend and read the contract at your leisure. 3. Do not buy upgrade option or Paying for extras that you don't need. When you arrive at the airport to pick up your pre-booked car, the clerk may recommend you to rent a higher-category car paying more. If you are not interested say No. 3. Full-empty fuel policy: Rent a car with the fuel option: full to full. The reason that the clerk offer you a "full vacuum" option is that the gasoline you will be credited at a higher price than the current price. You can give the car back without refueling but often you do not consume all the gas and a refund is not always provided. If, for example, in Gran Canaria you would spend 35 euros to refuel, with rental cars service you would pay a minimum of 60 euros. I speak for experience. CAUTION: A big car has a larger tank. You'll be credited more expensive amounts. I often rent a car for short or long periods when I go in my holiday apartment in Gran Canaria. I prefer not to depend on buses or taxis. I used different websites to rent a car such as RentalCars, DoyouSpain and AutoEurope. 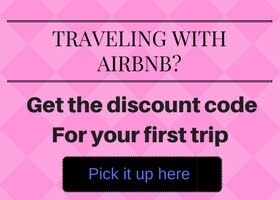 All 3 sites are reliable, I have used them personally and have not had a problem with the reservations. Hertz and its economic sottomarcha: Thrifty. Gold Car and its sub-brand car Rhodium (same site). Aggressive marketing: trying to sell any extra product from the browser to the various insurance not included in the basic price. Focusing on linguistic difficulties they send you into confusion. Warning! They catch customers with their competitive prices but selling cars with the formula "full vacuum" will accredit the fuel at an exorbitant price in fact losing the initial cost. What does it cost to rent a car for a day or a week? Get a fast and free online quote. 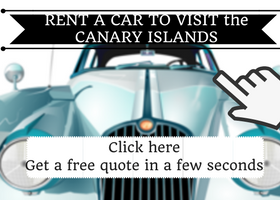 IS IT CONVENIENT Rent a car in the Canaries? We are on an island in the percentage of car theft is virtually zero. The reason is obvious: If you steal a car in a remote island in the Atlantic Ocean, where do you go? The islands, have small dimensions and sooner or later the thief would be caught. In Gran Canaria there is only one highway connecting the north and south of the island and a coastal road. Driving in the deserted streets of the Canary seeds is easy. The traffic is contained. In the Canaries there is NO methane. The only gas present in the Canaries is the LPG but the distributors are still few (here the list). As a tourist you'd better rent a car petrol to avoid running dry. REMEMBER: If you DO NOT returned a car with a full tank, they hold you an extra amount from your credit card. I hope I have helped to prevent disappointments. If you find useful the advices found in this article, do not hesitate to share it using the social buttons here below. Thank you.